Star Citizen creator Chris Roberts issued a PC-positive response to complaints about a PlayStation 4 devkit that was seen on the desk of the company's chief technology officer. Roberts Space Industries CTO Jason Spangler's appearance in the most recent Wingman's Hangar video caused an uproar among supporters after some of them spied a PS4 devkit on his desk. A minor thing, you might think, but the backlash was swift and strong enough that Roberts felt compelled to respond at length. "Star Citizen IS a PC game. It will NEVER be dumbed down for a lesser platform. We will NOT limit the input options or supported peripherals to the lowest common denominator. We will NOT pass on features and technology just because they will only run on some hardware configurations," Roberts wrote in a forum post. "I LOVE the PC as a platform because it is open, is always moving forward, with new powerful components (usually at cheaper prices) becoming available to gamers available every year," he continued. "The PC platform is great because it isn't static. It doesn't have rules or some controlling entity that decides what will and won't be in the eco system. If a cool new disruptive technology like the Oculus Rift comes along it can have a chance to gain traction and become the next big thing." Roberts also insisted that Star Citizen will never be released for the Xbox 360 or PlayStation 3 and said that Xbox One and PS4 versions would only be considered if Microsoft and Sony "allow us to update the code and data without restrictions and odious time consuming QC procedures [and] allow our community to openly interact with each other across platforms." "If Sony or Microsoft are willing to let their platform be open, then I see no real difference between them or Valve's Steambox, a Mac or a PC running Linux, all of which are platforms that I don't think this community would mind supporting as they are all viewed as 'PCs'," he wrote. "But this is a big IF as it's asking a lot. To their credit Sony seems to be the most eager to embrace indie games and the idea of openness, and they chased us down to give us some dev kits to play with but we've been very clear on what it would take to get Star Citizen onto PS4." Roberts also talked about opting to support AMD's Mantle and how the team doesn't need to "sell out" to console platform holders because of Star Citizen's huge crowdfunding success, and thankfully he also touched on how the reaction that spurred this whole thing is a little bit crazy - but not necessarily in a bad way. "While some could view the 1+1 = 256 logic that it required to come to the conclusion that we were ditching the PC for PS4 as an overreaction it does show how passionate everyone is in this community about the PC as the best gaming platform, which warms my heart!" he wrote. 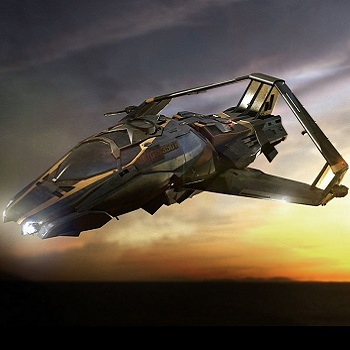 Star Citizen is currently approaching $28 million in crowdfunding.